The Law Offices of Sean M. Cleary works tirelessly to provide quality legal representation to our clients all across the United States. Our skilled and very dedicated legal staff has managed to obtain over the years significant verdicts and numerous multi-million dollar settlements in various personal injury, premises liability and commercial litigation cases. Sean's practice areas include: Car Accidents; Defective Products (including automotive components, tires, airbags, seat belts, roof crush, fires, etc. ; pharmaceutical drugs; medical devices; and other types of products); Personal Injury; Wrongful Death; Medical Malpractice; Admiralty & Maritime Accidents; Cruise Ship Accidents; Aviation (private and commercial airplanes and helicopters); Amusement Park Rides; Water Slides; Sean M. Cleary is the owner and founder of The Law Offices of Sean M. Cleary, P.C. 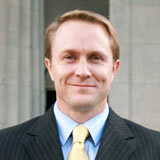 Sean has practiced law for twenty years in Miami, Florida, all as a trial lawyer in personal injury cases. Sean devotes one-hundred percent of his practice exclusively to representing everyday Americans who have been injured by the carelessness of others. This includes personal injury, automobile wrecks, tractor-trailer wrecks, products safety (including defective automobile manufacturer), medical malpractice, and premises safety. Sean received his Bachelor of Science in Biology from Notre Dame University in 1993 and received his Juris Doctor from Miami University School of Law in 1998. Sean is admitted to all Courts in the State of Florida, the U.S. District Courts for the Northern, Middle, and Southern Districts of Florida, the U.S. Court of Appeals for the Eleventh Circuit, and the United States Supreme Court. He is also admitted to practice in a local jurisdiction for a particular case only in other states, including in both state and federal court. Sean is married and has two children and is an avid scuba diver, having obtained a Master Scuba Diver Trainer instructor certification prior to practicing law and also loves diving and fishing.